A Comodo® EV SSL Certificate is a guaranteed way to establish trust online and improve your customer conversion potential. Your company name, displayed prominently in the green bar, is the green visual assurance of an EV SSL Certificate - the most trusted SSL Certificate available. Comodo® EV SSL takes e-commerce security to the next level with full business validation, saving your customers from phishing attacks and has all the highest encryption available with 2048 bit security. 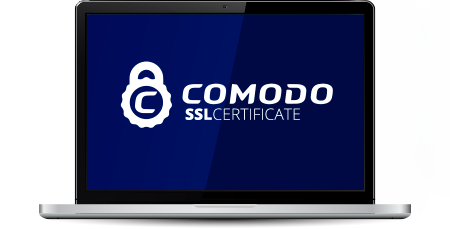 When you buy a Comodo® EV SSL Certificate you can be confident that your SSL Certificate will be trusted by all modern devices and web browsers. Great News! Your SSL Certificate will be issued by Comodo® using our fully automated fulfillment system. Comodo® are a leading SSL Certificate Authority. Our pricing structure for Comodo® EV SSL is well below the recommended retail price. Buy for multiple years and the cost of Comodo® EV SSL works out to be excellent value at its lowest price of only $99.50 per year. Our unlimited reissuance policy for Comodo® EV SSL means that we will reissue your Comodo® EV SSL Certificate free of charge for the life of the SSL Certificate validity, for any reason. Comodo® EV SSL can be installed easily on any server that supports the use of an SSL Certificate. Trustico® includes the added benefit of Unlimited Server Installation licences and a $1,750,000 warranty. To qualify for Comodo® EV SSL the company requesting the SSL Certificate must be registered as a corporation or equivalent with the appropriate government agency in its country of jurisdiction. Official government agency records must include the company's registration number, date of registration or incorporation and the registered office or address.